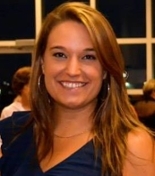 Amanda Ritter joined the Honors College as an Academic Specialist/Adviser in 2014. Prior to that, Amanda worked at Spring Hill College in Mobile, Alabama in various aspects of student academic services. Before she began her career in higher education, Amanda lived and worked in Colorado Springs, Colorado at some major companies, such as Target and Enterprise Rent A Car, as part of their management teams. Amanda earned her master's degree in Higher Education from Loyola University Chicago and her bachelor's degree in Merchandising Management from Michigan State University.